RENTER NATION: This is in response to the Bank of America pilot program announced today for renting foreclosed home which was # 5 in my 2012 Housing Prediction. 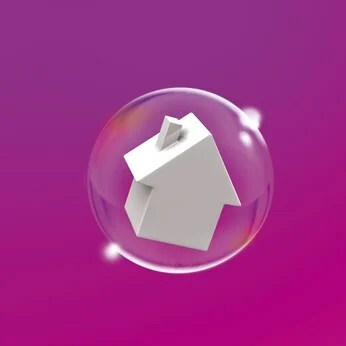 You might be watching the beginning stages of a rental bubble about to inflate in the US. We are nowhere near that now. However, my thesis is this: If this program takes place in a big scale fashion with the REO Bulk sales ( which have to be rentals) then you will in fact create a supply and demand imbalance for rentals. Now, this is still far from happening. However, if people can’t buy homes when rates are this low they usually rent or live with family and friends. Household formation will force the Home builders to build multifamily instead of single family residence. Thus creating a flood of rental properties in the market. The Big Three will provide way too many rental homes onto the market and could bring rents down ( years away)… thus that will lead to renter nation. Another factor to this is that years from now mortgage rates will be a lot higher than what we are seeing now and since there is no free market pricing system for homes, the manipulation of the housing market will create homes to be much more expensive years ahead because we don’t have the income growth to match the rise in interest rates.